“… the noted Teign Head George. George was quite a character in his way, and though reared in a remote spot where little or no association with his fellows was to be found, developed a great liking for company nevertheless. The neighbouring village of Chagford knew him often, he had evidently no notion of spending all his time at his lonely farm. But he was not master of it for long; only a brief three years…” Crossing, p.7. As the agent for and behalf of His Royal Highness Albert Edward Prince of Wales and Duke of Cornwall I hereby give you notice and require you to quit or yield up to His said Royal Highness Albert Edward Prince of Wales and Duke of Cornwall the quiet possession of All those closes or pieces of land and premises with the dwelling house and other buildings thereon called Teignhead Farm – C. Barrington.” Hemery, p.814. August 1872 – George Endacott, a farmer, of Teignhead in the parish of Lidford was summonsed for cruelty to a pony. P. S. Hobbs stated that on the night of the 19th of July, defendant was riding a pony in Ashburton. He was very drink and noisy, and ultimately got locked up for the night. The pony was taken to the Duke’s Head and on taking off the saddle they saw a wound on the back-bone about two inches in diameter, and there was blood – and matter running from it – fined £1 and 15 shillings cost. June 1874 – George Endacott, a farmer of Lidford, was charged with being drunk and disorderly at Newton on the previous evening – P.C.s Setter and Salter proved the case and the bench fined him 20 shillings and costs. August 1877 – George Endacott, better known as ‘Teignhead George’ was summonsed for the twenty sixth time for being drunk and disorderly at Chagford on the 27th inst. P. C. Mills proved the case. Defendant did not appear – fined £2 and costs. 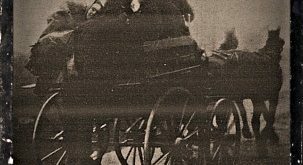 April 1878 – George Endacott, who did not appear, was fined ten shillings and eight shillings and six pence costs, or fourteen days, for evading a toll at the Okehampton Gate on Monday last. September 1878 – George Endacott, labourer, of Chagford, was charged by P. C. Mills with being drunk and disorderly on the 17th of August. This being his 23rd appearance before the magistrates, he was fined £2 and costs. October 1895 – George Endacott, son of a farmer, was charged with riding a horse furiously and also with being drunk. Defendant pleaded guilty to both charges. P. C. Huriord (?) said there were several people about at the time, it being market day. Defendant who expressed sorrow, was fined fifteen shillings for the first offence and ten shillings for the second. I would suggest that part of the reasons he could never pay his rent was that much of what little money he did have was spent either on drink or fines as can be seen above. If you use an inflation rate calculator based on 1877 the above fines alone equate to a minimum of £728 (excluding undisclosed costs) in today’s money. Now does that sound like the same man? As far as I can discern there was only ever one George Endacott who lived at Teignhead Farm so unless there was a dramatic ‘Road to Damascus’ moment in later life something is not quite right here. Did the author get confused with another Endacott? Clearly not as he saw what he supposed was George’s grave. Were the above reports of George’s drunkenness wrong? Again, clearly not as several authors have recorded the fact along with various newspaper reports. So in the end one has to decide for themselves – was he ‘The Saint of Dartmoor’ or not? Incidentally, there must be something in the air at Teignhead Farm that leads to over imbibing in alcohol as in 1897 one James Brock took up the tenancy of the farm. Old moormen have told stories how James would get as ‘tight as a mattress’ and be unable to walk, at which point the Princetown locals would bundle him in his cart and let the horse take him home. Crossing, W. 1986. The Teign from Moor to Sea. Brixham: Quay Publications. Stanbrook, E. 1994. Dartmoor Forest Farms. Tiverton: Devon Books.